If you have ever spent any time researching the benefits of Udo’s Oil, you will know that many people take it for wide variety of reasons – brain health, eye health, muscles and joints, dry skin, heart health and more. Essential Fatty Acids are so good for us that it’s clear everyone can benefit from a little extra. 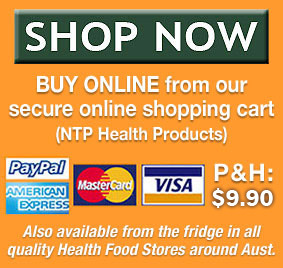 But what if you have exceptional nutritional needs – like elite athletes do? We’re not just talking about your average morning jogger here, we’re talking about people who are at the absolute top of their sporting endeavour; people who push their bodies to the extreme edge of endurance and performance to be the best in the world. 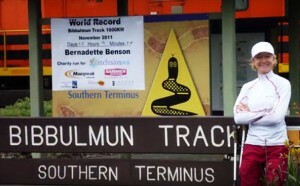 As one of the world’s most successful Ultra Runners, Bernadette pushes her body to the extreme limits of its capabilities. To be a successful Ultra Runner at an international level, you have to be very specific about everything you eat, everything you wear – everything you do. Like many other elite athletes around the world, Bernadette includes Udo’s Oil in her diet to supply her body with the specific nutrients she needs to perform her best. When you are monitoring your nutrient intake very closely, only the very best and most effective products make the cut – and Udo’s Oil is right there. “In June 2010, I ran 200.886 kms in my first 24 hour event, winning the event outright and breaking a Canadian W40 age group record. “At the IAU World Trail Championships in Ireland in July 2011, I ran with the Canadian female team and secured its first ever podium placement at a world event – bronze medal. “May 2013 at the 10th IAU World 24 Hour Championships in the Netherlands, with Team Australia, I completed 216.343km, breaking 5 Australian age-group records, 2 Canadian age-group records, and the Canadian open 24hr record over the course of the event. 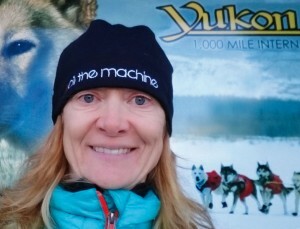 One of Bernadette’s most impressive achievements as an Ultra Runner took place in February 2016, when at 46 years of age she was the first woman to cross the line in the grueling Yukon Arctic Ultra – known as the world’s coldest and toughest Ultra event. Furthermore, she took a staggering 24 hours off the previous women’s’ record, completing the 483 km race in a little over 5.5 days, with only 8 hours sleep, and finishing 3rd overall. 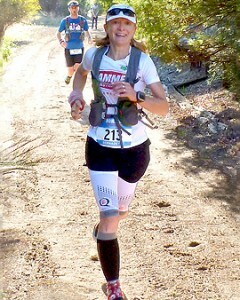 As an ultra runner, Bernadette’s body benefits from Udo’s Oil in numerous ways – particularly in the areas of injury prevention and recovery. Everyone needs a green smoothie now and then! As the Australian Importers and Distributors of Udo’s Oil, we are proud to supply Bernadette with Udo’s Oil, because we know how helpful it is to her and other athletes of her calibre.